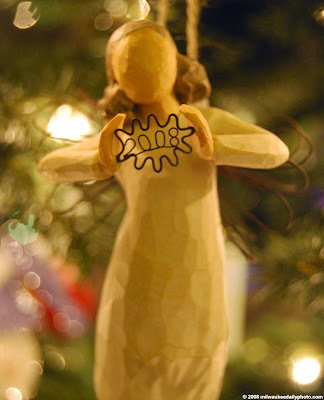 This angel ornament hangs on our Christmas tree at home, and was a gift from me to my wife. We spent the day on the road visiting family and friends, and find ourselves at home at the end of a very special Christmas Day. Happy holidays to you and yours from Mama, Duncan, Lamont, Leland, Kailey, and me in Portland, Oregon, USA.